VIBRAMS for Powerlifting?! We think so! Besides the techniques explored upon by Jack3d users/lifters, they also put other important matters under careful considerations. Apart from his willingness to perform powerlifting as a heavy-duty sport, one would also need tremendous amount of strength, energy, and bearing. Thus, other factors such as proper body support should be learned, established, and improved. With that said, any heavy-weight lifter should invest on supportive and protective gears in order to fortify and protect his body all at the same time. To achieve such purpose, one should invest on efficient powerlifting shoes in performing such demanding type of sport. A JACK3D LIFTERS POWER IS ALSO IN HIS SHOES! When doing weightlifting exercises, its very important to obtain as much support as you can get in order to maintain safe and stabilized positions. Particularly during powerlifting, a lifters body is required to overcome tremendously heavy weights. To be able to withstand such amount of density imposed to it, the body centralizes pressure so as to prevent its center of gravity from being compromised. Most often than not, this compensation is done by diverting the entire weight to the feet. So to prevent feet damage during demanding physical activities such as heavy-weightlifting, one should start using powerlifting shoes. Vibram Five Fingers for Powerlifting?! Vibram Five Fingers powerlifting shoes enables an individual to take full advantage of his feets plantar arch once they come in contact to the ground. Frictional deficiencies and interferences are prevented (if not, lessened) because these shoes have no heels, stocky structures, or whatsoever unnecessary parts in them. They simply mimic feets natural barefoot structures. As a result, full stability is achieved which is very important when keeping up with high demands of weightlifting. Vibram is an Italian brand known worldwide as a credible manufacturer of sturdy footwear products. As a matter of fact, this brand has always been equated to QUALITY and class. 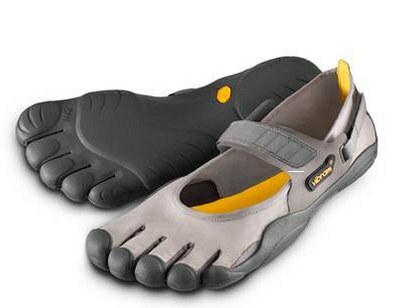 The Five Fingers shoes designed under this trademark wont wear out – well, not to soon! So youre guaranteed protection and economy, all at the same time. Since these shoes support ones posture and center of gravity, lifters can now do weightlifting without injuring their spines and other back structures. This would mean pain-free and safe training and workouts at the same time. As humans wear various kinds of shoes, their malleable metatarsal structures have no choice but to adapt to the shape and contour of the shoes they fit into. In effect, human feet are altered in accordance to structures of foot apparels most often used. These alterations are leading causes of spine deformations such as kyphosis (hunchback) and Lordosis; as the body tends to compensate for unnatural posture configurations. Eventually, these deformation abnormalities cause pain that could interfere and cause irreversible skeletal and muscular problems during power training and weightlifting. To remedy these, Vibram Five Finger powerlifting shoes can be utilized to correct even the longest standing of back problems; most especially those associated with improperly assumed posture. Other than powerlifting shoes, who would forget about Jack3d as the mainstay regimen for power lifters? 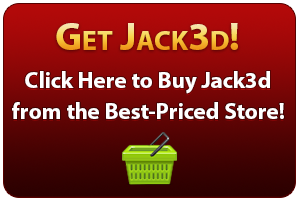 Jack3d, being the pioneering product it was in the recent years, is one of the most popular workout supplements available in the market today especially designed for heavy-duty athletes and lifters. It remains as the most highly acclaimed product supplementation because of its genuine quality and scientifically-tested nutritive properties. In fact, it has been regarded as the best energy and pre-workout supplementation used by power lifters until today; and is considered a credible option for novice and professional lifters alike. The greatest thing about the Jack3d is its constitution of viable ingredients under safe yet effective parameters. Unlike other training supplements, this product guarantees to give just about the right kind and amount of ingredients for long-lasting resistance and energy. Moreover, it doesnt bombard the user with unnecessary components which may potentially harm his systemic bodily functions. Indeed, proper nutritive supplementation; combined with one of the worlds emerging high quality powerlifting shoes such as Vibram Five Fingers, makes every Jack3d lifter enjoy a powerful yet safe, effective, and rewarding weightlifting experience every time.